When and where does SprintForce train? 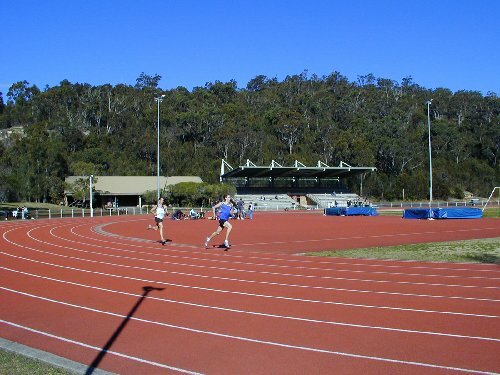 We train at the Narrabeen Athletics track, which is part of the Sydney Academy of Sport on the Wakehurst Parkway. Mondays, Wednesdays and Fridays at 4.30pm. 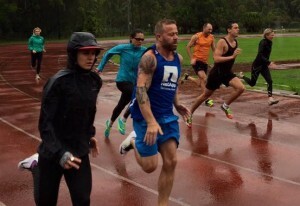 Depending upon which training phase we are in Fridays can be either hills at Mona Vale or Long Reef or at the track. Training is ‘on’ in all conditions. You need to wear comfortable clothing for running, this will depend upon the time of the year. We recommend long tights for winter. Lightweight running shoes are usually best to begin with. We don’t recommend wearing spikes in the first few months of training. A water bottle and a stopwatch. What Happens at a typical training session? The warm up consists of a series or run throughs and running drills, designed to warm the body up and breakdown the various elements of the running action. Some light stretching and mobility exercises, followed by some faster run throughs. 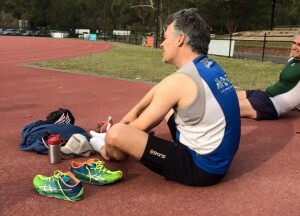 At your first few sessions you ‘train to train’, this allows us to look at your running technique and assess which distances you may be best suited to. We gradually increase the training load in terms of volume and intensity, depending upon the feedback you provide us. This ensures that we minimise your risk of injury while your body is adapting to the training load. 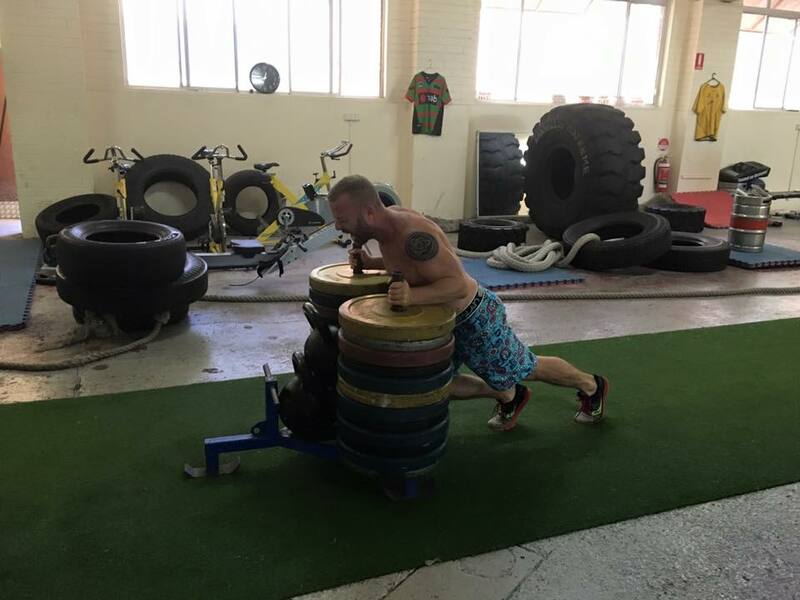 Athletics can be very demanding on your body and we have found that most ‘new’ athletes lack the strength to run at their desired level. We strongly encourage all our squad to complete a strength training programme 2 to 3 times a week that includes exercises that are specific to running.